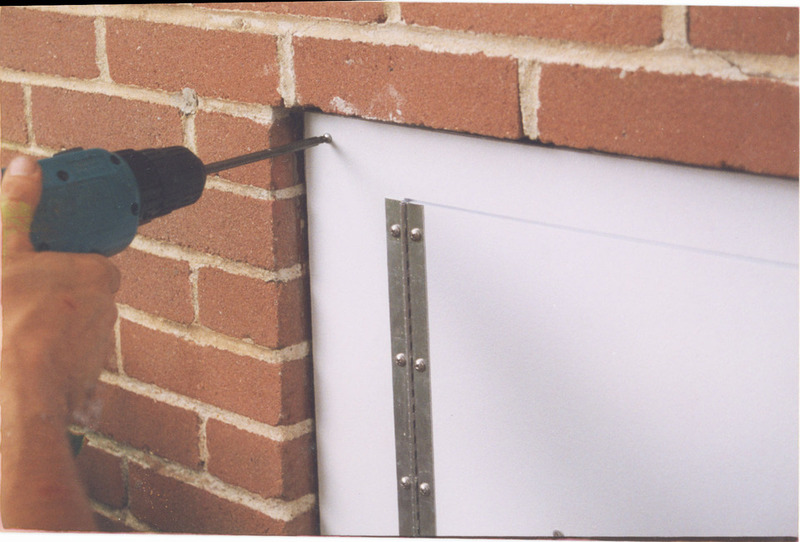 Crawlspace Doors Installation Instructions | PCO Supply Inc. The PCO Access Door when installed properly eliminates the use of these products. 1. The PCO Access Door and frame will fit openings from approximtely 20" by 26" to 30" by 48". The door is 18" by 24"
3. If the present door opening frame is made form treated lumber and is in good condition, properly fitted and square, you can install the plastic PCO Access Door without much added work. If a new frame is required, use treated lumber. Install and inset the new wood frame at least one inch from the font of the edge of the house or structure's opening. Once the wood frame is installed, fit the PCO Access Door against it. This should assure you of a good fit. Note: that the frame must be square and must fit flat. The door will not fit properly and seal if the plastic frame is installed in a bind. 4. Measure the crawl area opening vertically and horizontally. 6. For a three sided frame, remove the two inch (bottom) threshold from the PCO Access Door with a fine tooth saw. This is needed to make for a smooth access entrance. Follow safe procedures including wearing safety glasses and taking other safety measures when using hand or power tools.